Clive is a Consultant with the firm and previously had been a partner in the dispute resolution team for many years. His main areas of practice are in commercial and business litigation including partnership and shareholder disputes. He has acted for a wide variety of the firm’s clients, from individual private clients through to larger corporate clients. He also participates in the firm’s insolvency group in respect of their insolvency litigation. In the past he has been a long standing member of the Law Society’s Personal Injury Panel and has had responsibility for the Licensing work carried out by Dispute Resolution team. He is currently a member of the Association of Contentious Trust and Probate Specialists (ACTAPS). 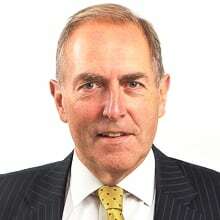 Clive was recognised as a leader in his field by Chambers UK for Dispute Resolution and is known widely for his experience in this field. Chambers sources comment in respect of Clive’s work that “there is no substitute for experience and judgment………” Clive has also been mentioned as an individual in the Legal 500 in respect of Dispute Resolution. In recent years he has been involved in a number of reported cases in the fields of construction of Development Agreements, Option Agreements, Insolvency, Trust litigation , Personal injury and Inheritance Claims. Past licensing projects have included the licensing of the Southampton St Mary’s Football Stadium and of Hampshire’s Cricket Ageas Bowl. Clive is also a Commercial Mediator having qualified through the ADR Group, and has been in regular practice in Mediations as a representative for one of the parties or as Mediator. He has conducted litigation for clients through local lawyers in a number of foreign jurisdictions including France, Austria, Belgium and Portugal.